Those suffering from migraine know how difficult it is to deal with the painful bouts even with medicines. If you have obesity and have migraine headaches, weight loss could help. Weight loss is known to help alleviate, control and treat a number of conditions including diabetes, hypertension, stroke, heart disease, respiratory diseases and arthritis. Now, a new study has added migraine to the list too. 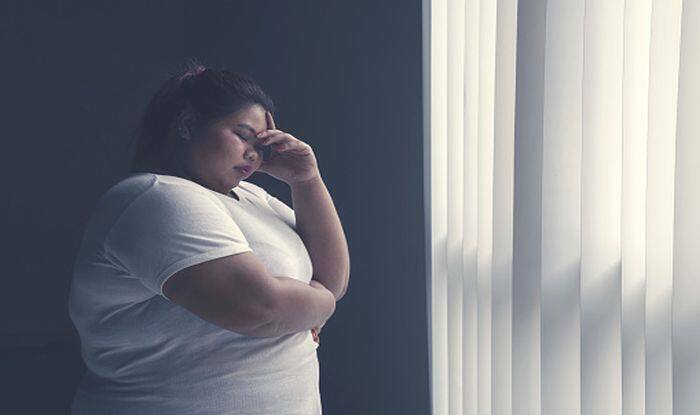 Obese people who have migraine must try losing weight to decrease headaches, pain severity and duration, and to improve their quality of life, says this study. Losing weight could lead to ‘alterations in chronic inflammation, adipocytokines, obesity comorbidities, and behavioural and psychological risk factors,’ according to researchers from the University of Padova, Italy, and The Miriam Hospital/Brown Alpert Medical School in the US, according to a press release of The Endocrine Society. Losing weight is one way of dealing with migraine. Here are some other ways in which you can manage painful migraine headaches. Stay away from bright light sources: Bright light including sunlight, fluorescent lights, sudden flashing lights can trigger migraine. When you step out during the day, you must wear sunglasses. Never skip meals: Don’t have time for a meal? Prefer eating a chocolate or an energy bar instead of a meal? That’s bad for your migraine. Skipping meals is known to be one of the major causes of migraine. It can also trigger and worsen your headache when you have migraine. Eat regular, nutritious meals. Eat less of these foods: Those who suffer from migraine are asked to avoid packaged, processed foods, adulterants, additives, colours, caffeinated beverages, cold liquids, soy sauce, cheese and fermented foods. Tyramine, a substance that’s in our bodies and some foods can trigger migraine attacks. You must also avoid having ‘diet’ sodas and sugar-free chewing gums which contain ingredients like aspartame which are bad for migraine attacks. Fatigue and mental stress: If you suffer from anxiety and stress frequently, you must try yoga, meditation or measures to deal with stress. Any form of anxiety and mental tension will cause headaches. Stick to a schedule: Whether it is sleep or meals, it is necessary that you follow and stick to a schedule. You must eat and sleep at the same time every day. When you surprise your body by sleeping or eating late or skipping a meal, it will surely trigger a headache. If you travel frequently, you should beware of jet lags as they could also worsen migraines.